Greece rugs feature a combination of popular designs with floral or geometrical patterns. Their colours are either harmonious and rich in contrast. Thanks to the use of twinkling Lurex-fibres, this collection offers a slight shimmer and provides a way to add class and style to your decor. The patterns feature an almost three-dimensional effect and invigorate the texture of these spectacular works of art. 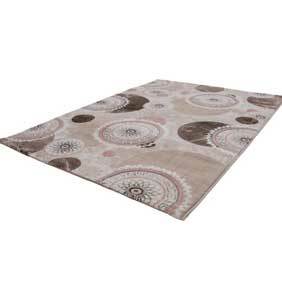 These smooth, soft and durable rugs are appropriate for people with allergies. Suitable for underfloor heating. You simply have to look closer!